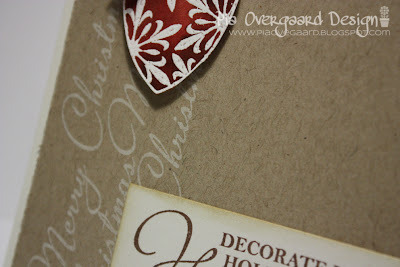 Another sketch challenge is up at Lily Pad Cards. Our sponspor is Hero Arts - YAY!! 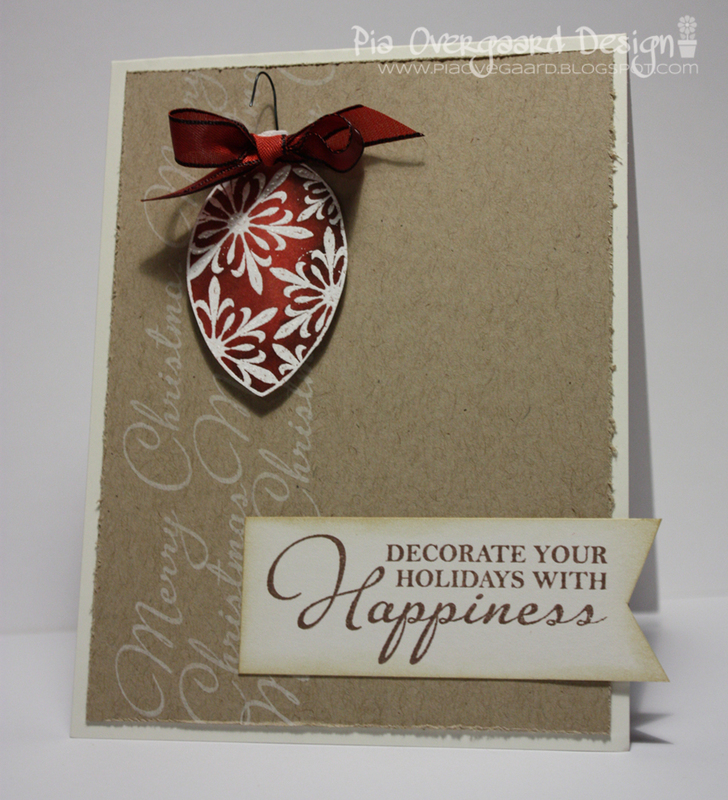 And here is the card I made using some gorgeous Hero Arts stamps - generously provided by Hero Arts. I stamped 3 lines of text for the vertical lines of the sketch and used an ornament as the round feature. Distress inks fired brick, walnut stain, Memories dye ink white. Det er så flot. Super super enkelt og super super elegant. Det kan du bare! This is beautiful! Your ornament with Fired Brick and walnut is pure perfection. This is stunning Pia - love what you created. This is perfect! Love how that red ornament radiates right off the card and I love that subtle white text in the background!